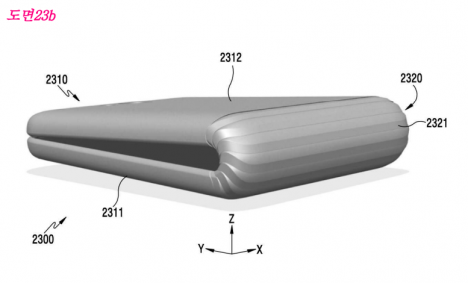 As smartphones continue to grow bigger they become increasingly unwieldy, hard to fit into pockets and purses, but Samsung’s new patent shows they are getting series about a phone for next year that will fold. A series of bendable joints toward the center of their new patented device let it fold down the center much like a flip phone while flexible-screen technology provides a smooth flat surface when the phone is opened. 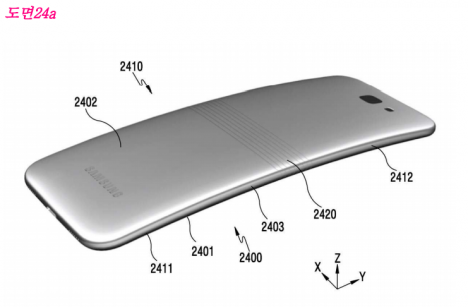 Also, the folding nature could help the phone comfort to the user’s face for easier speaking and listening. Rumors suggest Samsung aims to bring a device like this to market next year. They have been working on flex screens for years with demos and concepts of ones that would wrap up like scrolls – those ideas may be a bit further out from reality (especially since some hardware would be hard to roll) but this gadget could bridge the gap. See more in Phones & Mobile or under Gadgets. November, 2016.